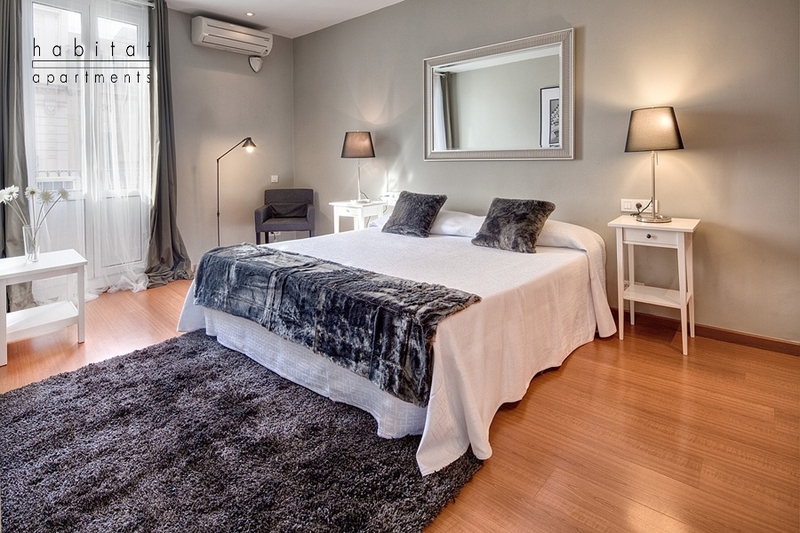 You are looking for a nice apartment in a lively neighbourhood in Barcelona, but you are also a light sleeper? The Lauria apartments are the perfect choice for you. During the day, the neighbourhood is a busy area but it is also quiet at night. There are 5 of our modern designed apartments in the Lauria building. We offer these bright and brand new apartments on the second, third and fourth floor. The apartments have 1 to 3 bedrooms and feature 4 to 8 people. All apartments except the Lauria Gallery and the Lauria Veranda apartment have french balconies. The both mentioned have instead of the balconies a small gallery where you can spend some relaxing hours enjoying the tranquility of the courtyard. The apartmens are all bright and modern designed. They feature a nice living area with a sleeper sofa for up to 2 people and a Flat screen TV. Some of the 5 apartments have also a dining area in the living room. 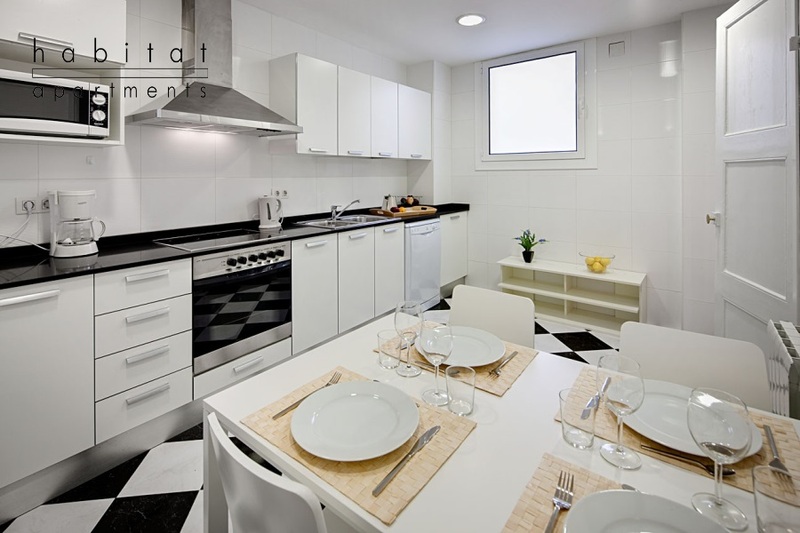 In every apartment, there is a separated kitchen, which is fully equipped. 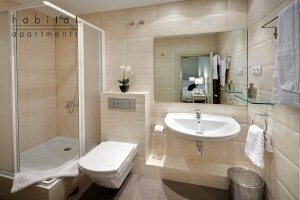 The apartments have 1 to 2 bathrooms featured with a shower or tube, a toilet and washbasin. All apartments have also a central heating and air conditioning. The Lauria Building is located on Roger de Lluria street between Diputación street and Gran Via street. This lively Eixample area close to Passeig de Gracia is very busy during the day but also quiet at night. You will also find everything the heart desires in walking distance as shops, restaurants and cafés. The area offers also a very interesting architecture which is typical for the early nineteenth-century Modernism. 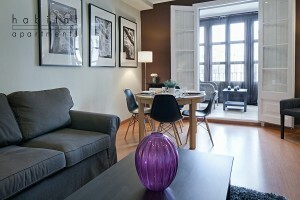 As mentioned before, the apartments are located close to Passeig de Gracia, the biggest shopping street in Barcelona. In this street you will find any designer boutique and shop you can imagine. There is a wide range from Mango over Desigual to Prada and Chanel. There are also nice restaurants and cafés where you can enjoy a little break. Close to the Lauria Building, there are also some very interesting sights located. In walking distance, you can for excample reach Casa Battlo (0.51km), built in 1877. This building, used to be owned by the Chupa Chups company, is today owned by the Bernat family. It was restored and remodeled by the famous Antoni Gaudí and Josep Maria Jujol. La Pedrera, also known as Casa Milà, is another building created by Antoni Gaudí, and it is also located in walking distance to the Lauria apartments. In addition, Gaudí’s masterpiece became a World Heritage site by the UNESCO in 1984. All other sightseeings can be easily reached by metro. The next metro stops are Girona (L4) and Urquinaona (L1 and L4) about 400 meters away. If you are returning to the apartment tired of an exhausting sightseeing day, and you are not in the mood to make your own dinner, we recommend you a nice restaurant in your neighbourhood. The restaurant is called Casa Calvet and offers a Mediterranean and Spanish menu. Did the nice Lauria Building convince you? 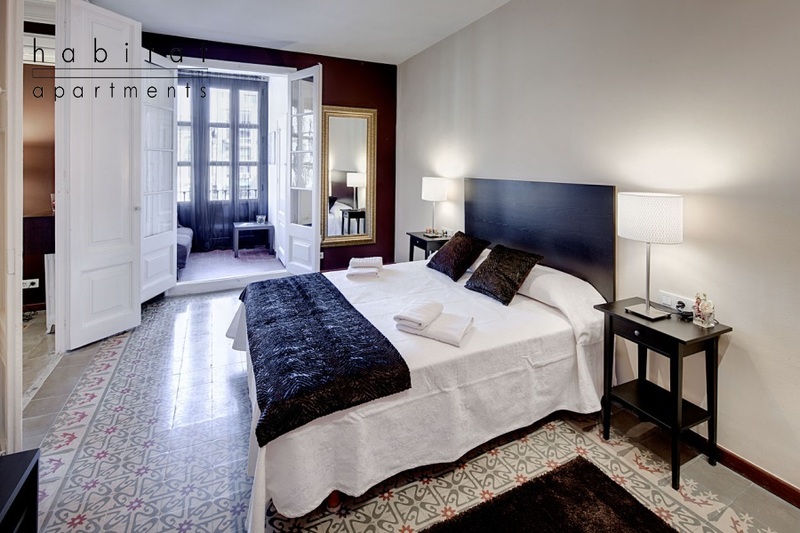 Book your stay in Barcelona with Habitat Apartments!